I'm depressed today, so I will be listening to Christmas music mixed with dance music to lift my spirits. Videos that I watched last night still haunt me. I especially haven't recovered from watching an avant-garde biopic of Karen Carpenter done with grime, war footage, and Barbie dolls. I may never be free from its hateful snark. Thanks, IRC guy, for the recommendation. If I had only left it alone. I could have walked away, shaking my head, but unscarred. However, I then looked up “Karen Carpenter collapsed on stage” and watched final performances of hers where she looked like a poster child for third world hunger while smiling & singing. I saw interviews with her in complete denial. Then she was “suddenly” dead because of complications from anorexia nervosa. Yeah, the IRC guy's getting coal this year from me. That artsy documentary was horrible, but I also didn't need this distraction. I was freshly sixteen at the time, so I don't recall how I felt about Karen's death in 1983 more than simply feeling sad at her passing. 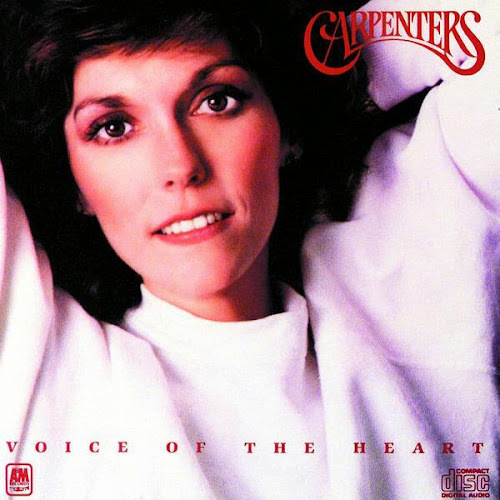 I didn't dig most of my parent's music, but I had fond memories of The Carpenters. They represented Christmas to me. Karen Carpenter may have been the first celebrity that I was aware had died, but not the first celebrity death that affected me. That was reserved for Jim Henson years later. However, seeing a beautiful, amazingly talented person slowly waste away had a profound effect on me last night. She accomplished so much by the age of thirty-two. Honestly, though, this book that I'm writing is what is truly getting me down. I'm behind on freelance assignments, money is tight, and I am trying to finish this book by my birthday on Tuesday. It's been a hard book to write because of the subject matter. I know, writing about dealing with suicide and understanding how to give love & support to the suicidal is not necessarily a cheery topic. Even after spending a year and a half working on it in my spare time, you would think that I had a grip on the subject, but today I discovered a reader of mine had recently tried to take her life and was hospitalized. I've never stepped that deeply into suicide, personally, though I came very close. I was so taken by surprise that I floundered for a moment finding things to say to her. Karen Carpenter's death touched me more deeply as an adult in his 40s than as a teen, so I was already a bit down when I came across my reader's email. I hope that my words were comforting and not empty, or worse, burdensome. Have I been triggered? No, I'm not suicidal myself, but I can feel Depression's grip tightly on my heart this afternoon. One thing I will do is to edit my Christmas smart playlist to exclude The Carpenters for the time being. Sorry, Karen. Your voice will bring pain to me today. I still have four chapters to go and need my strength. Here's that experimental film by Todd Haynes if you're interested to know what I'm talking about. I don't know how long the link will be active. I wouldn't watch a lot of it. The disrespectful, snarky treatment of Karen's life, and the terrible smearing done to her family made me turn it off. This is a biopic only twenty-somethings in college would produce. Those are the heady, euphoric years when we think we know it all, before we start to notice that we don't know much at all. In the meantime, I am plunking away on my keyboard, getting closer to being finished one word at a time. Wish me luck.